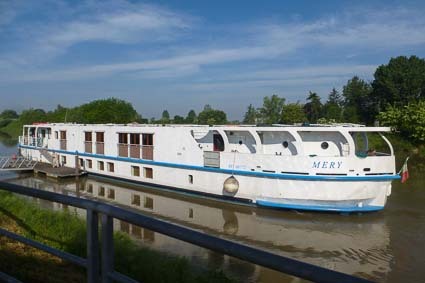 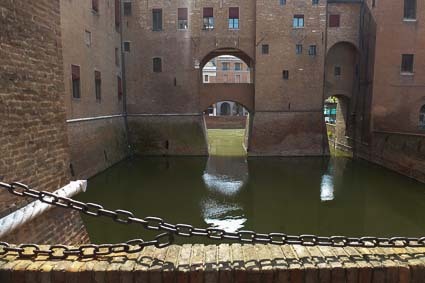 On Thursday morning (day 5 of our cruise), we left Bosaro for a short drive to the Renaissance city of Ferrara, which is a UNESCO World Heritage Site. 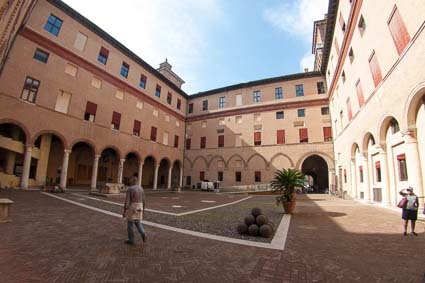 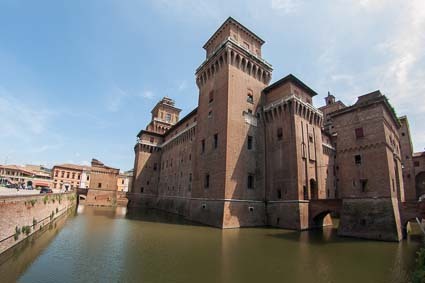 The first stop on our walking tour was a short visit to Castello Estense, which was built as a fortress to protect Ferrara's ruling family from rioters and revolutionaries. 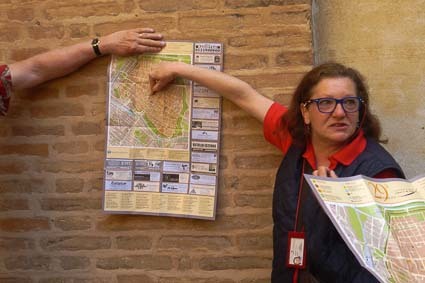 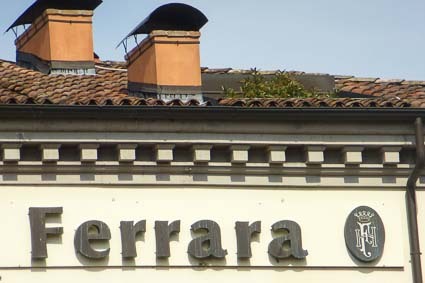 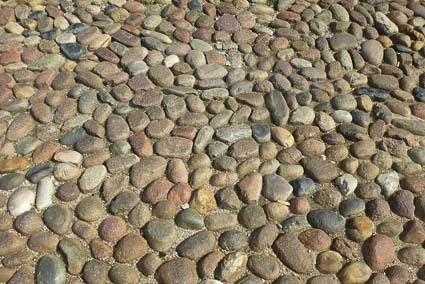 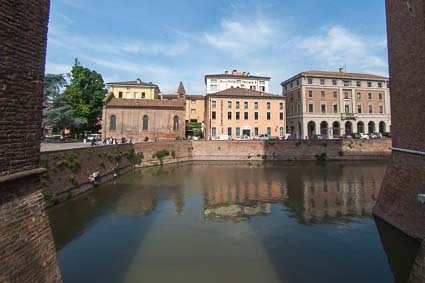 A local guide gave us a quick introduction to Ferrara, its Renaissance rulers, and the castle. 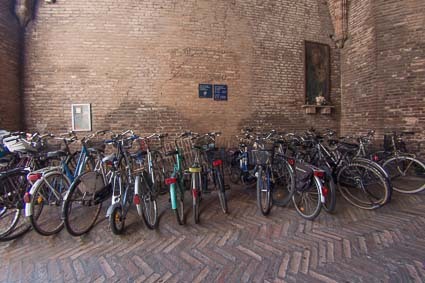 Ferrara claims to be Italy's most bicycle-friendly city, so we weren't surprised to see large numbers of bikes parked in the castle entrance. 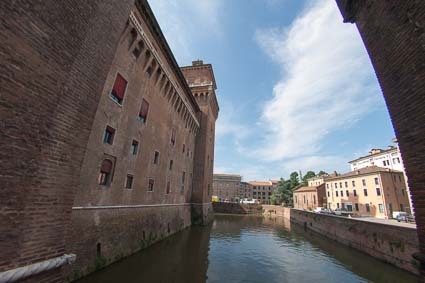 As we walked around the castle, we enjoyed views of the moats and surrounding city.